elcome to Issue 2 of Don’t Take Pictures. As with any new venture, Don’t Take Pictures continues to grow and evolve. These past six months have witnessed some substantial changes for this magazine. Whether you are reading this on a screen or in print, we will continue to bring you great work by photographers who are on the rise. After the launch of Issue 1 and the tremendously positive response we received, requests came streaming in for more writing on topics and ideas that were too time-sensitive for our biannual publication schedule to handle. You spoke, we listened, and have expanded our discussion of emerging photographers and the photographic industry. the goings-on in the photography world with thoughtful writing and wonderfully curated images. Our serial columns highlight photographic trends, the relationship between design and photography, and artists who value a hands-on approach. As our audience grows, we know that people will be interested in discovering the work of artists from past issues. Our redesigned website puts the featured artists’ work online for a full six months, and the limited edition prints will remain available for four issues, or until they sell out. Staying true to our mission, the full dollar amount of each print sold will continue to go to the artist. We believe in the power of affordable art, and we believe in helping artists sustain their careers. The past six months have been full of exciting exhibitions, art fairs, portfolio reviews, lectures, and great books. In January we re-launched our website to include more regular content for these timely events in the photographic community. While I write this letter from our main office in Virginia, our contributing writers bring you their thoughts and experiences from all regions of the States, allowing for area-specific reviews and discovery of new artists that reflect the geographic diversity of our readers. Issue 2 takes us on a journey from sparse interiors, to the arctic oceans, to a backyard full of natural wonders. It shows that antiquarian methods are alive and well, and celebrates women who defy conformity through self-portraiture. As always, some words of advice for business and artistic practices from industry experts are sprinkled throughout, and we review the release of a new independently-published monograph. hair care, Drolen does delve into the idea of male sexuality with pieces such as “Hair Tie”, in which she takes her own freshly cut hair and braids it in such a way that it resembles a tie. It calls into question several things about the subject. Is she cutting off her hair to fit in with her male counterparts and to be more like a man? Or is she mocking men for their forced adornments which society requires them to wear? This particular photograph also speaks to the humor and playfulness of the series. The exaggeration helps make the concept clear, and with humor and play working in virtually all the images, she explores the many possibilities on the discourse of hair and femininity, expertly handling the line between the beautiful and the grotesque. Drolen’s photographs are well-manicured and styled, calling into question how she intends her audience to interpret them. These images could easily be picked up by an ad agency and used to sell a product in a certain time, suggesting that Drolen, to further drive home the juxtaposition between the beautiful and the grotesque, is tapping into a slicker visual language tied with commercial photography. Her minimalistic style and flat palette add to the strangeness of her work, and the drama of each image does not come from the presence of light, but the absurdities of her fictions. Admittedly, most of the work is made in Drolen’s house, usually against a grey wall. The absence of other human life or an environmental context takes the viewer out of the camera’s typical subject matter within the “real world” and into a place where physical fact is questioned. What the viewer is left with is a residual psychological effect. The work seems to ebb and flow from a strange, otherworldly occurrence to a wellarranged, scientific view of a concept. the work focuses primarily on hair found on the head, excluding the Mourning Jewelry, and photographs of leg, pubic, and armpit hair would significantly broaden her message—surely using hair from the top of the head limits the amount of repulsion she can create. Her work, however, aims less for visceral reaction and more for cerebral engagement, hoping for an effect that lingers after initial exposure. These are not criticisms of the work, as it is indeed challenging and compelling, but as Drolen pursues her project, it has room to grow. As Drolen’s first body of work after Particular Histories, she is establishing herself as an artist who will elucidate and challenge some of our most profound, if virtually invisible, sociological trappings. The truth is, we only stand to gain by her doing so. Shane Godfrey is a photographer based in Boston, MA. Each image exemplifies the quiet spirit of the countryside and the looming presence of Jump Mountain. Wet-plate photography, ambrotypes and tintypes, are different than most photographic processes in that the black glass plate or piece of aluminum that will eventually bear the image is coated with collodion and silver nitrate before being loaded into the camera and exposed to light. When put through the developing process, the image appears directly on the glass or metal, resulting a one-of-a-kind photograph (or negative, if you continue the development process with clear glass). Because the process shortens the amount of time between releasing the shutter and the final product, this type of photography became popular after it was invented in the 19th century. The process is experiencing a revival in alternative process circles partially due to its portability. By eliminating the need to print from a negative, many steps requiring a darkroom are eliminated, thus making the whole wetplate process something that a skilled artist can do in any space big enough to develop the plate behind a few blackout curtains. This portability is one of the reasons that Williams began to work with this method. Eventually, he made a small studio for himself in the back of his Honda Element. After moving to Virginia, Williams spent long hours in Washington & Lee University’s expansive photography collection, pouring over its images. Despite his previous distaste for “older photography,” he took a deep interest in 19th-century expeditionary photography. He acquired a large format camera and began making landscapes. Encouraged by his progress, Williams began taking workshops from Mark and France Sully Osterman, two of the foremost experts in wet-plate collodion photography. He soon found himself working primarily in the wet-plate processes. After showing me the Honda Element, we moved to his portrait studio with his invitation: “Do you have time to sit for a portrait?” Intrigued to see the actual wet plate process, Williams led me through his manicured garden, to the basement studio in his customdesigned house. Williams had had a studio opening a few weeks prior, and several of his pieces still hung on the walls of the staircase. At the bottom, a small, well-lit hallway leads to the darkroom and his studio space. The wall is draped with white backdrop, flanked on both sides by bookshelves and worktables. Williams had set up a giant strobe light in the middle of the room, with his 12x12 view camera next to it, both facing a wooden stool. plate turns white when bathed in developer, but the image quickly emerges after a rinse and an immersion in fixer. “Now the whiter areas on the sides, it’s a thicker collodion. That’s where you’ll get the blue if you don’t rinse it off well enough. It’s like a cyanotype. Similar process,” Williams explains. I can see why he fell in love with this process. It’s fun to watch, and his passion pours out of him as he discusses his work. My plate still needs to be varnished to protect it once it’s dry, so Williams leads me back upstairs. I linger over his landscapes images. Each is a perfect marriage of process and subject, with textures and flaws in the chemistry meshing with the misty fields and earthy terrain in his images. Eerie and still, Williams’ ambrotypes contain both the solitude of his surroundings and his familiarity with each shift in the land. Although the compositions often lack a formal subject, each image exemplifies the quiet spirit of the countryside and the looming presence of Jump Mountain. Shannon Mohrman is a freelance writer from Houston, Texas. Her writings have been included in various publications. She is also a classically trained operatic soprano and an avid knitter. xploring the photographs of Heather Evans Smith feels as if I am at a banquet of visual riches, standing in front of a groaning table filled with images that are at once beautiful, compelling, and full of storytelling, pathos, and whimsy. It’s hard to take a seat at that bountiful table, as the greedy visual consumer in me wants to look at more and more before I settle on a specific image. But once I fill my plate and settle down, I begin to see the complexity and layers in Heather’s work, not only because of her technical prowess, but because of the thought and emotion behind her projects. demand my attention. Her cinematic and surreal photographs have their own language, personal to her, yet universal to the rest of us. Though much of her work is preconceived, some of it emerges on its own, and whether created from the conscious or the subconscious, it examines the psychological world of womanhood. When I saw “You and Me”, I knew immediately what she was saying. The frilly green underpants signal a lace-waving statement of “Yes, I’m a mother, and isn’t my baby cute, but I’m still here too, lookin’ fine.” I appreciate her irreverence and her use of a playful wit to make a statement. belief that creativity blossoms from boredom, and in her desire to create a world other than that of her hometown, she found herself exploring different art forms. The seeds of her conceptual approach to photography were born when she dressed her cats in costumes and photographed them. Those creative childhood leanings led her to attend Peace College in Raleigh, NC, where she studied Visual Communications, a program of study that included graphic design, drawing, painting, and photography. After college, Heather worked as a graphic designer for over a decade, and during that period she returned to her first love of photography. Her postings on Flickr were an immediate sensation, and she decided to take the leap into fine art photography full time. That decision has allowed her to begin creating her remarkable work. Each photograph is a short story, reflecting the emotions of being a woman, wife, mother, or simply just being human. Her images are a form of selfportraiture, whether she appears in them or not. â&#x20AC;&#x153;I started out exclusively shooting self-portraits. It was the most efficient way for me to shoot my images. I was always available to model when a creative moment hit me. During my recent series, The Heart and The Heavy, certain images proved too difficult to model. Walking back and forth with a heavy rope dress or submerged in water was not practical. I began using others and found gratification from seeing the story play out in front of my eyes. However, I canâ&#x20AC;&#x2122;t see myself completely moving away from being in front of the camera. Those images are the most personal for me.â&#x20AC;? Heather spends a significant amount of time imagining the work before she shoots it. Her process is deliberate, and she knows the stories she wants to tell. That preparation allows her to create specific images, but it also allows her room for experimentation. “The majority of my images and their meanings are planned out in advance. I usually know exactly what I want to shoot. I have a limited time to shoot so I use my time wisely, leaving room for ‘play’ after the initial idea has been shot. Interesting things can come out of that experimental period, sometimes better than what was planned.” Heather’s early work was a personal take on domestic life, created with a sense of humor, whimsy, and a strong sense of color that speaks to the universal emotions of being a woman. The work is interior, created in kitchens, bathrooms, and bedrooms, grounding the images in what is familiar. the audience about the ups and downs of motherhood. Many viewers expressed relief to see this played out in an image, and I felt relief that I was not alone. Shooting these images made me realize just how different I have become since motherhood. I look at the world differently. My personal time is limited, but these constraints have actually made for a more creative and driven life.” Because of her gift of story telling, Heather’s work was selected for Project Imaginat10n, the brainchild of director Ron Howard, where images inspire film. In the fall of 2013, her photograph was selected by actor Jamie Foxx for his short film and brought to life in another short film, Chucked, by director Jared Nelson. The experience was heady and surprising and taught her about expectations and ideas of success. It also reinforced the idea that her photographs are like film stills, in which the viewer is left wanting to know what happens next. images, and this time the photographs will include her daughter. I have no doubt that this talented photographer will have a long legacy of storytelling with spectacular visual interpretations that will transport and transform the way we see ourselves. Aline Smithson is the Editor and Founder of Lenscratch, an online resource for photography. She lives in Los Angeles where she works as a photographer and educator. rtworks must have been completed within the last two years.” This sentence arises amidst other requirements for exhibition proposals, juried competitions, publications, and other venues for showing ones art. It seems harmless enough, maybe even helpful, encouraging artists to continue producing work during their busy lives. And yet I have recently begun to view this requirement as one piece in a larger problem: an expiration date on art. While generating new work is unquestionably important, the implication is that older work, work that is over two years old, has expired and is no longer of interest to these particular venues. In an effort to stay relevant, artists are pressured to release new work on a swifter timetable. Too often, the resulting body of work is pushed out of the nest before it is ready. Portfolios that are not fully resolved are published on the artists’ websites and submitted to contests, publications, and galleries. In order to develop mature concepts, write a great statement, and give a portfolio the attention it deserves, each new project must be allowed to have its own evolution before being released into the world. This evolution is all too often rushed and incomplete as artists release new projects in an attempt to retain the limelight. pushed aside for this week’s “next big thing.” A body of work that may have taken years to complete is set aside all too soon. Artists spending time on the internet are aware of this phenomenon and feel pressured to churn out work at a rapid pace. Artists fear that if presented years after its internet blitz, some critics will dub their work “old hat” out of disinterest for a series they have seen before. The pressure to turn out work can come at the expense of artistic growth. Exhibition deadlines can deter an artist from embarking on new directions and newly minted portfolios and books can come off as extensions of existing work. Exploration— not just in ideas, but in techniques and materials—can come with a steep learning curve, requiring time for trial and error. impose which better reflect this mission. Some exclude work that has been previously published or exhibited at the venue, or artists who have had a solo museum exhibition. 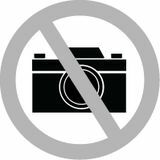 Under such restrictions, photographers can submit their strongest images regardless of when they were made or what blog they have been featured on. Endeavoring to continuously produce art is admirable. It is equally important for an artist to take some time away from producing and to focus on other elements of their career. Promotion and exhibition, or taking time to recharge and put some distance between the most recent series and the next, are important parts of the creative process. If the new series takes the academic 14-week calendar to complete, then full steam ahead. But if it takes 14 months or 14 years, that is okay too. Photographers, unlike many other artists, work in a unique medium that allows for reproduction. Printing in editions makes it feasible to have a series shown consecutively in multiple venues. 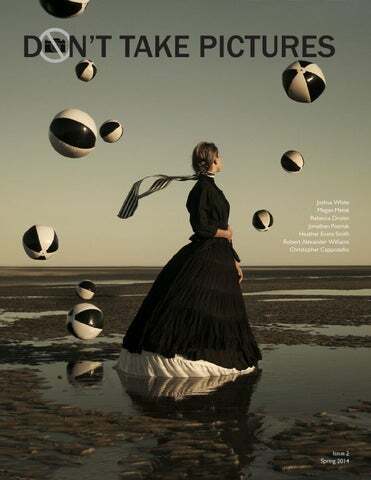 Photographers can and should continue to exhibit their works until the edition sells out. This calls for an end to the “two-year sentence” that so many photographers face. While new work is being created, older work should be promoted and exhibited to both introduce new viewers to the art and because good photographs will not become irrelevant as time goes on. Unless the photographer in question is well known, chances are that their earlier work has yet to be experienced by most of the world. If the work was good when it was new, then it will continue to be good three, five, or fifty years down the line. Kat Kiernan is the Owner and Director of The Kiernan Gallery in Lexington, Virginia. tain, energy, and one gets the sense that the ice is a kind of life itself. To say the images have life is not to say that they are warm. Instead, Pozniak accomplishes a powerful inversion, somehow making the desolate cold of the polar landscape come alive with light. Those used to traveling the hinterlands will undoubtedly recognize the contrasts and the odd glow of the sky and water, but those who have not will find in the images a gem-like quality that derives not so much from the ice itself, but from the iridescence that Pozniak highlights in his photographs. He sees the life in the shoot, and he attempts, without alteration, to bring that life to the viewer. Avoiding the use of Photoshop or other digital tools to manipulate his vision, he instead aims to act as a kind of medium, conveying to the viewer as purely and cleanly as possible a journey he has taken and feels compelled to share. He lets the image, as taken, speak, and he helps us to understand that the rippled dark lines of the sea have meaning only against the crystalline light of ice. Roger Thompson is an art critic and Professor at Stony Brook University in Long Island, New York. t the heart of the construction of a still life photograph exists the ability of the artist to isolate a subject from its original environment. By this method, the photographer is able to control the perspective and context in which the viewer observes the subject. Joshua White employs this method with an elegant minimalism in his project A Photographic Survey of the American Yard. Each natural object, carefully chosen, is isolated on a light-toned background, with a centralized composition and large surrounding area in the frame, bringing uncontested attention to the subject itself. The project reads as a survey of specimens, with the connection between the objects being immediately drawn from the project title. The monochromatic specimens are rich with texture and tone, and it might come as a surprise to the viewer that these images are all photographed with the artist’s iPhone. However, this seems an appropriate connection to the immediacy and intimacy of a photographic survey collected from one’s own immediate surroundings. The work is presented online as an ongoing blog (joshuawhitephotography.tumblr.com), as a grid of specimens. The presentation of the images, all with a similar background, compositional arrangement, and square format, begins to allow the viewer to observe the small details of each individual subject. The warm-toned specimens hover, as if suspended in space and time, above a non-contextualized surface of offwhite with no notion of horizon or ground. A vignette further emphasizes each subject, giving the feeling that one is examining it through a lens or perhaps even a microscope. Organized by month, one begins to observe the blog in a seasonal way, pondering the types of specimens that the artist might collect in the summer versus the winter, spring versus fall. This ongoing life/death cycle seemingly connects back to the artist’s rumination on mortality, a theme that runs consistently through his work. With these observations in mind, I had the opportunity to ask Joshua White some questions about the project and to elaborate further on his process and intentions. shelves, with grass on the gallery floor and all the prints unframed so that viewers can hold and rearrange them, reflecting the process of discovery and the playfulness I feel from the series. I can also see groups of images as the series continues; I sometimes photograph many of the same kinds of objects, like money plants and milkweeds. I think it could be interesting to break up the more traditional, linear presentation with smaller typological grids. Many of your photographic projects have connecting themes of mortality and the fragility of life. Do you approach this concept in a direct way, or is it something that emerges fluidly as your projects develop? How does the “Survey of the American Yard” connect to these themes in the scope of your larger body of work? I think what you said about cycles at the beginning was very beautiful and something that had not fully occurred to me until you said it. I love to allow the ideas to develop fluidly, but sometimes it is like driving a car with no steering wheel. I just have to trust that what led me to this type of image making has something to do with what has led me in the past, and that they are somehow connected. I also wonder a lot if that connection is necessary for successful work, but I think that is mostly fear that they don’t connect, rather than disillusionment with whether or not they need to. When I first started the series I thought it had nothing at all to do with the other work—that it was just a short diversion from what I was working on—and I would get back to the stuff dealing with life and death later. But it all comes from the same place, and learning to trust that part of the process has been one the hardest challenges for me. the love that two brothers share regardless of the ruthlessness disease. Accompanying the photographs, the text of the book contains stories by the author about past events and memories, which coincide with the narrative. As the pages turn, the reader’s mind joins with the voice of the author, forcing the reader to share in Christopher’s most intimate questions about why Nick’s life is a struggle: “Is it fate or is it chance or is it just bad luck?” The Distance Between Us is an eye-opening look at the private struggle that comes with a lifelong illness. As the title suggests, it documents how these twin brothers come to close the distance between them as they both unflinchingly face Nick’s cerebral palsy and confront Christopher’s emotional struggle with why he was born healthy. The true beauty of this book and with the life it encourages is both its fearless look at living the struggle and with its leaning into hope. The Distance Between Us is published by Edition Lammerhuber and is available from ChrisCappy.com. Amanda Hite is a freelance photographer and writer, and an intern at The Kiernan Gallery. She is fluent in Spanish and travels the world. Emptiness. Quiet. Solitude. The mind wanders. We’ve all had that moment, lying on our beds, couches or floors staring at the ceiling—a ceiling we know, a ceiling we seldom visit, or a ceiling that is all together new to us. No matter our surroundings, it seems our greatest consistency may be above our heads. We use this blank slate to let our mind wander: to travel to new places, create stories, and imagine ourselves in different realities. As a child having little say over our environments or schedules, we are blessed and plagued with time to fill and limited resources to fill them. We search for avenues of escape and control to alter or expand on the reality we are handed. This is a human phenomenon that is never more true than in the experience of childhood, before our life scripts are really our own, when the histories we write must be created from the ingredients we are handed from others. element that is present all the more important, and the placement of shadows, details, and textures of walls creates a palpable tension. Her images are filled with vibrant colors, often drawing from monotone or limited color palettes. Kandinsky often remarked on the power of color to evoke a spiritual experience, and Metté seems to be putting this concept into action. Inspired by great painters like Mark Rothko, Metté believes deeply in the power of color to stir the soul. In fact, she remarks that “sometimes the color is too much,” and she has to walk away from her own large prints before being swept into an emotional whirlwind. context in understanding something outside of ourselves—context that we are often denied. After viewing this work, I am left with a longing to reconnect to a time when I could sit with my own thoughts. For me these images serve as quiet reminders of the power of our own imaginations and the ability to exist completely in a time and space without the luxury or distraction of choice. No matter what may await us on the other side, in that time we are just as we want to be, and in that space great things can blossom. Rarely has emptiness felt so full. Eliza Lamb is a photographer, curator and educator based in New York City. he art world has been turned on its head, and no one quite knows what to do about it. Long-time gallerists tell stories of mythic proportions about the days when they could not keep art on the walls. With more and more people buying art online and in alternative venues, many traditional galleries cannot keep their doors open. Career photographers talk about the days when career photographers existed—when a person could support him/herself on his/her art and a photographer valued his/her work and would not dare give it away for the glory of a photo credit. Up-and-coming photographers lament the digital era where everyone with an SLR (or better yet, an iPhone) calls themselves a photographer and layers and filters can turn the dullest images into something… special. Nostalgia is easier than change. Routine is more comfortable than innovation. And yet, the truth is that we have the tools to take this upside-down art world and own it. The internet has leveled the playing field for everyone and may the best photographers and galleries win. We can take things into our own hands, and we can create our careers. Gone are the days of sending slides to galleries and waiting for the call that would signal the start of something. Anyone with talent, creativity and ambition can start their own fire, from the bottom up. We have the tools to take this upsidedown art world and own it. So rise up. Take your career by the reigns and thoughtfully and purposefully develop a plan to get you where you want to go. Tighten your work, develop your brand, strategically launch your project, and identify and attract your target collectors. Make your mark on the world. but many of us have a very difficult time communicating those thoughts to others. As an artist you need to be able to talk about your work. You are the best advocate for your photography, so make sure you do the images justice. The process of writing a statement, while considered painful by most photographers, is a great exercise in organizing your thoughts and making sure the ideas you are trying to express are actually represented in the work. Being able to confidently and succinctly write and speak about your work is no easy feat, but it is as important as having strong images. If you cannot sell yourself and your work to a gallerist, how is that gallerist going to sell it to a collector? People want to feel your passion and hear your thoughtfulness. They want to be moved. Practice as much as you possibly can, and then practice more. Speak out loud about your work—to yourself, to your peers, to anyone who will listen. You must be comfortable talking about your work, and you must be able to explain it in a compelling way. Most people’s photography is so close to their hearts and minds that it is incredibly difficult to step back and explain it to fresh eyes. It is deeply personal, and just showing the images can make a photographer feel vulnerable and exposed. Still, you have to be able to sell it. Practice. It is the only way. Once you can succinctly tell someone what your work is about, use that information to develop your brand. Creating consistent branding across your website, social media, and marketing materials raises your level of professionalism and sends a strong message that you are thoughtful and dedicated about your work. In this field, as in all things in life, the way you present yourself both in person and otherwise impacts whether or not people want to work with you and to what extent. would resonate with the people who regularly walk the halls. Not all work is easily salable. While the plastic bag typology you have created with all of your heart and soul speaks to you on every level, a lot of commercial galleries may find the images hard to sell to collectors. That is not to say there is not an audience for this work—that audience just may not be best reached through a commercial gallery. The same holds true for most subjects. It may also be the case that your photography is not at the level—technical, sophistication, subject—that commercial galleries are seeking. Again, that does not mean there are not people who would really connect with your images and want to become collectors of your work. It just means the gallery system may not be the best fit for you right now. Again, think about the person who would most respond to your work. Does your art have an environmental bent? Is it feminine or issue-oriented? Now, think about an organization or nonprofit in your community whose membership would respond to your work and consider partnering up to hold an event, exhibition, or fundraiser. For example, if your work deals with the landscape of a certain geographical area, partner with a conservation group to hold a fundraiser that features your work. You could offer to raffle a photograph and give a percentage of sales to the group. They will work with you to plan the event and get their membership to attend, giving you the opportunity to get your work in front of a roomful of your target collectors. The goodwill you will generate will build loyalty, and the altruism will generate sales. Examples of groups to partner with, depending on the type of work you make, include conservation groups (environmental), Junior League/ women’s business organizations (feminine), garden club/botanical garden/nature center (nature photography), children’s non-profit/PTA (family themes), medical charity or cause (figure work). There is a way to connect most bodies of work to a group of target collectors, it is just a matter of digging deep and working out the most effective, creative, and meaningful angle. the target audience for the photography. Who is most likely to appreciate your images? How can you best reach this person? What are your obstacles to connecting with this audience? If your photography has commercial appeal, there may be exhibition opportunities at commercial galleries. The galleries will expect your images to look impeccable and your presentation to be professional. Cheap frames are unacceptable and do nothing to elevate your work or your brand. Cutting corners may save money in the short term, but artists who prepare for longterm success are more likely to achieve it. core supporters should also receive a handwritten note, a very small print or postcard with your newest image, or even a (gasp!) phone call. Do not underestimate the power of the personal connection. After all, it’s what drew these people to your work in the first place—they saw your image and felt a personal connection to it and, by extension, to you. You have the opportunity to build the relationship beyond being merely transactional. Collectors are not just a bank account—they are people who appreciate and are interested in what you have to say with your work. That initial connection through the work can be the start of a meaningful collectorartist relationship. conclusion Know how to talk about your work and with whom you should be talking to about it. Being able to pitch your images to the people who will most appreciate them and developing meaningful, ongoing relationships with them is the foundation for a successful life in art. If you can talk about your work in a way that really connects someone to the photographs you have made, keep that connection working for you and watch the chain reaction. Jennifer Schwartz is the creator and director of Crusade for Art, a non-profit organization whose mission is to help artists create demand for their work. Why Do Thousands of Galleries Hang Their Art With Gallery System? Gallery System art hanging systems are used in thousands of galleries and studios worldwide, including Kat Kiernanâ&#x20AC;&#x2122;s Kiernan Gallery. Why? Because Gallery System equipment makes it easy to hang, adjust, and refine until the work shines as it should. No nails, no tools, no fuss. Just great displays. Call Gallery System Art Displays today at 800-460-8703, and mention Donâ&#x20AC;&#x2122;t Take Pictures for a free sample kit. excerpt from Roger’s introduction . . . Testify is a visual love letter to Appalachia, the land of my blood. This is my testimony of how I came to see the importance of home and my connection to place. After moving away as a teenager, I’ve struggled to return, to latch on to something from my memory. These images are a vignette into my working through the problem of the construction of memory versus reality. My work embraces the raw beauty of the mountains while keeping at arms length the stereotypical images that have tried to define Appalachia for decades. own hands. The work is given a strong and proper stage, ensuring the work will be treasured for generations to come. as a photographic print (suitable for framing) housed in a translucent envelope. $65. to order visit rogermayphotography.com or horseandbuggypress.com. Testify will be on display as part of Roger’s photography exhibit at H&B during March and April. Open Studios & Reception Nights: Friday, March 21 and Friday, April 18 from 6–9pm.